Al Qahwa performs at Michael Garron Hospital on Tuesday, Feb. 12. 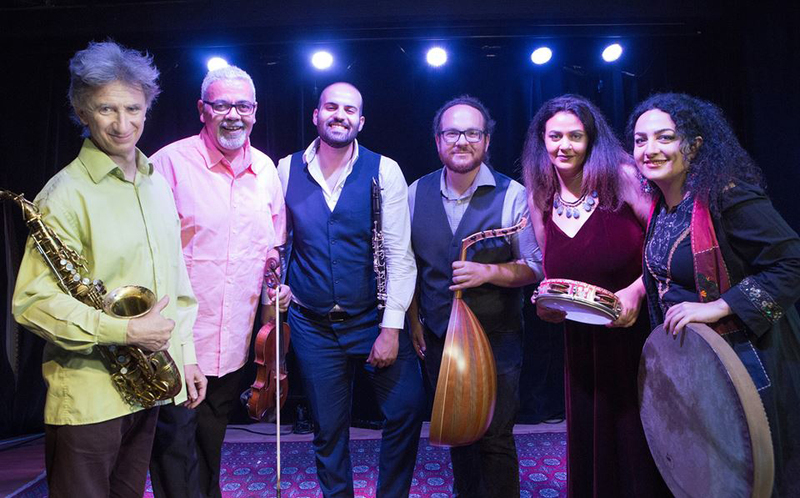 The World of Music East Toronto concert series is presenting the Al Qahwa ensemble in performance on Tuesday, Feb. 12 at Michael Garron Hospital in East York. The concert will take place from noon to 12:45 in the Mortimer lobby of the hospital, which is located at 825 Coxwell Ave.
Al Qahwa will play original compositions, as well as popular Arabic repertoire during the performance. The concert is part of a world music series put together to celebrate East Toronto’s diverse neighbourhood and reflect the cultures of everyone who works at and visits the Michael Garron Hospital. The concert is free, and everyone is welcome to attend.